Micheal Ferland is coming off that tear of four straight games with a goal and an assist. Mike Smith continues to be lights-out on the road where he now boasts a league-best .948 save percentage. His .924 SV% overall is third among goalies with 20-or-more starts. Dougie Hamilton already has four goals in January with three of them game-winners. Calgary just swept a four-game road trip (first sweep of a four-game-or-longer road trip since December 2007) and at 13-5-4, they're tied with Tampa Bay (14-6-2) for the NHL's best record away from home. That's a .682 winning percentage that has them on pace to break the club's all-time best road mark of 22-12-6 (.625%) set in 1987-88. But what else has contributed to the success the team has tasted lately? What else has led to this resurgence that has Calgary not just back in wild card contention in the Western Conference, but suddenly contending for home-ice advantage in the Pacific Division. It's now been 18 games since the Flames last surrendered more than three goals in a game. As previously documented here, that dates back to Dec. 5. That was the day of the impromptu attention-to-details practice called by Glen Gulutzan, prior to the team's departure to Toronto to begin a two-game road trip. To jog your memory on the circumstances, Calgary had just lost 5-2 to the Philadelphia Flyers, who came into the Saddledome on a 10-game losing streak. Unhappy with that night’s performance and the state of his team’s game overall, he pushed the departure of the team charter from the morning to the afternoon and re-routed his players to the rink bright and early for a brisk practice instead. The rest, as they say, is history. While the goaltending has been great over this stretch -- Smith has been awesome and rookie David Rittich has been terrific too, the bigger takeaway is shots and chances against have been down. This has resulted in a significant reduction in the number of goals against. Five starts. All on the road. Four of them on the back-end of back-to-backs. Czech rookie David Rittich has been sensational going 4-0-1 with a 1.77 GAA and a .942 SV% as a starter to help the #Flames pick up 9 of 10 possible points. Early in the season when all-you-can-watch giveaways, poor decisions, and d-zone fire drills were on the nightly menu, that has changed now. The six mainstays on the blueline look far more comfortable out there and that has translated into far fewer high-anxiety moments in their own end. Mark Giordano and Dougie Hamilton continue to get it done as an elite top pairing. Travis Hamonic and TJ Brodie look much better. Brett Kulak, a spectator the first month of the season, has been steady as a fixture on the third pairing with Michael Stone. It's been a remarkable streak of consistency considering the Flames gave up greater than three goals on 12 occasions over the season's first 27 games. No, I don't expect you to accept it. No, I certainly don't expect you to admit it. At least not publicly. But while Troy Brouwer has been the fans' punching bag since he signed that four-year, $18 million deal two summers ago, he's been better of late while filling in on the 3M line for Michael Frolik. When Frolik broke his jaw on Dec. 28 in San Jose, it was an injury that had the potential to be crippling. After all, the 3M line has been so good since the start of last season and Frolik had been playing some of his best hockey of the season. 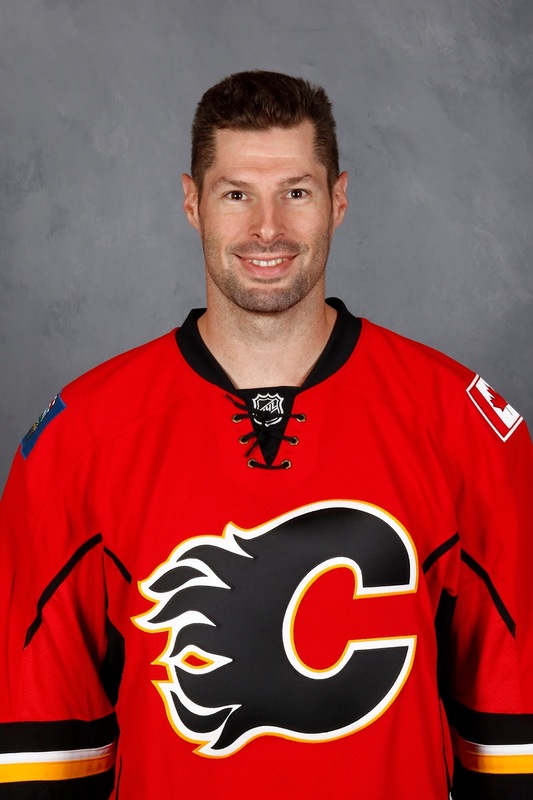 Pessimism reigned supreme when Gulutzan made the decision to insert Brouwer into that spot, elevating him from his perch on the fourth line. 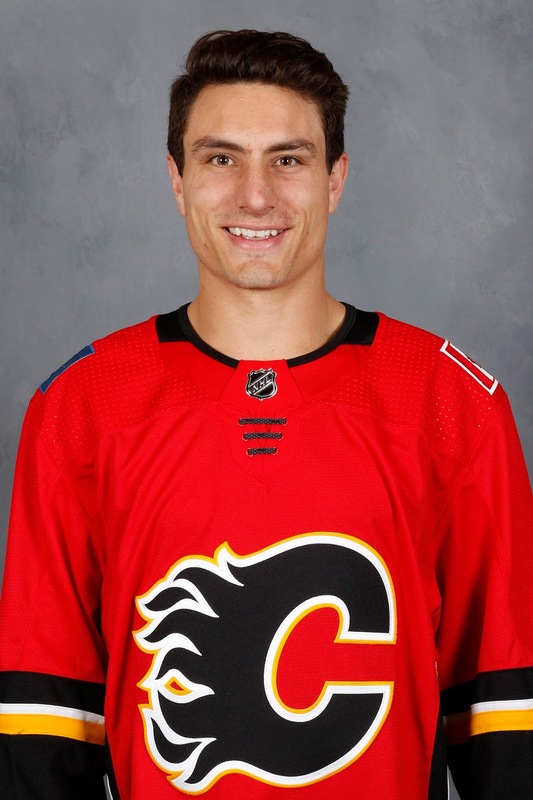 While inserting Brouwer alongside fan-favourite Mikael Backlund and Matthew Tkachuk had all the makings of a toxic combination, it hasn't turned out that way. During this seven-game streak, Brouwer has been the Flames top forward in SAT% (aka Corsi) and ranks third on the team. This while starting in the defensive zone at five-on-five for two-thirds of his shifts, a disadvantage that ranks him No. 1 on the team. To give you context on the icy depths to which the 32-year-old had plunged, Brouwer was 19th (46.34) in SAT% prior to this temporary promotion. Now has Brouwer been the beneficiary of his two linemates? Absolutely. Backlund and Tkachuk have proven themselves to be stellar possession players. Could you say Brouwer has dragged them down a bit? The analytics would certainly confirm that's been the case too. to be honest, a downgrade was to be expected with whoever ended up being the substitute right winger on that line given Frolik's chemistry with the other two. Giving credit where credit is due. Brouwer has been better in his increased role that has seen him averaging 13:05 of even-strength ice time (6th among forwards) per game since the Frolik injury, a 36 percent increase from the 9:36 (12th among forwards) he was averaging previously. Sure, he will still make a mistake now and then and they tend to be noticeable, although when everyone is watching your every move waiting for a mistake, that's how it generally works. But overall, the use of Brouwer in that spot hasn't been the square peg in a round hole that most were expecting. Biggest compliment you can say about Brouwer the last couple weeks is he has not been a huge talking point. There hasn't been nearly the fan consternation that I was anticipating at the outset and he deserves some props for that. Plus, by being serviceable in that spot, it helps the team's overall slotting. It has enabled the Flames to keep the Mark Jankowski line together while also adding more speed and youth to the fourth line. Along with Brouwer's own improved possession play, these positive ripple effects have helped the team nicely mitigate the loss of an important player like Frolik. One thing that killed the team early in the season was chronic slow starts. Scoring first wasn't necessarily the issue, the problem was they were continually coughing up leads and never could seem get to the first intermission leading on the scoreboard. For the longest time and we're talking about well into December, they were last in the NHL when it came to the number of first period leads. Calgary has been much better in this area lately. After leading after 20 minutes only seven times through the first 38 games, the Flames have led after the first period five times during this win streak. The only game in which they trailed after one was against Los Angeles when they fell behind 2-0. But that night, they followed that with arguably their best period of the season in scoring four unanswered goals and taking the lead for good in the second. Playing from in front and not having to chase makes the game far easier to play. For one, it's less stress. Secondly, it takes some of the pressure off the goaltender. It also enables you to roll four lines and that results in a more well-rested team. Plus, it 's a proven formula for success. On the season, Calgary is 10-0-2 when leading after one. Get a lead, hold it until the Zamboni makes its first appearance and you're looking at one point guaranteed and probably two. It's pretty simple. Man, this NHL thing is easy peasy. Make it seven career games with Calgary for Andrew Mangiapane and seven wins. What does losing an NHL game feel like? Don't ask Mangiapane as he has no idea. 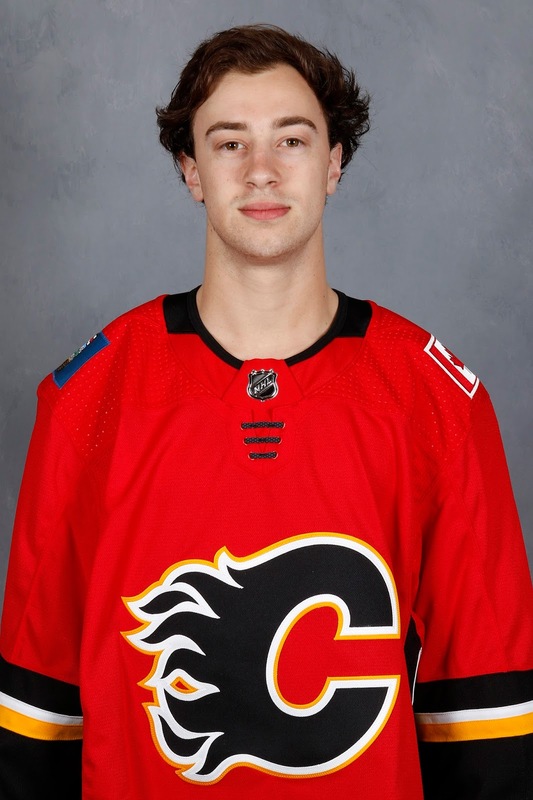 Call him the Michael Stone of 2017-18, but Mangiapane has turned out to be the good-luck charm for this team as they have yet to suffer a setback since his recall from Stockton in late December. Now Mangiapane has yet to pick up a point. His average ice time of 8:45 over this period ranks dead last on the team. But his arrival has coincided in an upswing with the effectiveness of the fourth line. They've spent more time in the offensive zone, they've been more dangerous and if they're not scoring, that's what you ask of them. Go out there and wear down the opposition D, don't get scored on and try to set up the next line with momentum and/or an offensive zone face-off. Has the previously-mentioned removal of Brouwer from the fourth line also helped? Again, the analytics would suggest yes and you can see why. Now you have two younger, faster guys with an old, slow guy, rather than the opposite. But rather than blame Brouwer for why Matt Stajan and Curtis Lazar weren't better earlier in the season, perhaps the two of them are worthy of a stick tap for their improved play lately. Mangiapane has certainly brought a spark to round out that trio that has given Calgary it's best fourth line minutes this season. In Sunday's win in Carolina, I thought Lazar was excellent, especially early in the game. You still wonder if he'll score again -- ever -- but driving hard to the net in that sequence that led up to the Stajan goal (and had he not scored, would have drawn a penalty), was a sign of confidence we haven't seen a lot of from the 22-year-old lately. I also really liked what Marek Hrivik brought to that line as he made his season debut with Mangiapane temporarily shuttled to the third line to replace Sam Bennett, who had bumped up to the first line to replace an ill Sean Monahan. There's a pace and assertiveness to Hrivik's game that makes you think there's more there. The importance of his athletic play to stay onside on that opening goal by Stajan cannot be understated. 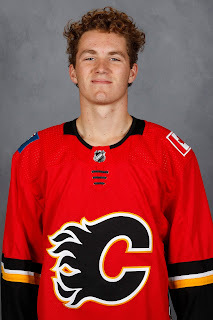 Barely 20 years old, Matthew Tkachuk continues to be a standout with nine points (5 goals, 4 assists) during the win streak, which ranks third on the team behind Gaudreau (2-11-13) and Monahan (4-6-10). His five goals over that period leads the team. In fact, over the past month (since Dec. 15), Tkachuk's 7 goals and 12 points leads the 2016 draft class and that includes the likes of first overall Auston Matthews (6 goals, 1 assist) and second overall Patrik Laine (5 goals, 6 assists). I know Olli Juolevi had a solid World Juniors for Finland, but has the buyer's remorse set in yet in Vancouver where they passed on Tkachuk at No. 5 to select the Finnish defenceman? Juolevi should still turn out to be a very good player, but while he awaits his first NHL game, Tkachuk has been an absolute stud for Calgary in his first two seasons. Nothing but giddy squeals still from the Flames that they were able to land a guy at No. 6 that has such high skill, but is also an elite antagonist. Continuing to earn more and more trust from Gulutzan, Tkachuk is now on the No. 1 power play and he also is among the coach's regular OT forward pairings. What's not new is being on the ice late in close games and for proof of why he's trusted in that role and it has been that way for a long time now, see his great play against Aaron Ekblad last Friday. 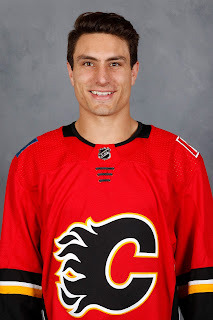 Not only did he fend off the big defenceman to muscle the puck out of his zone in a one-goal game against Florida, but he made another great play to subsequently set up Backlund's empty netter. The young man is being counted on more and more and he continues to not just meet expectations, but exceed them. With five power play goals over the win streak including goals in three-straight games, the much-maligned man advantage is finally starting to produce again and as a result, it's getting some love. But the penalty kill is the side of special teams that should be showered with adoration these days as it's been outstanding. While the Flames were playing in that string of eight straight one-goal games, the PK pitching shutouts was often a key factor. Averaging a PP goal against every 4-5 minutes of PK time for most of the season, this recent stretch for Brouwer has yielded much better results. You can add that as another bullet under his improved five-on-five play. The college kids Garnet Hathaway and Jankowski have been nearly flawless on the season. Jankowski is up to 33:38 now with just one power play goal surrendered on the year. Hathaway is up to 21:43 on the season and has not yet has had to hang his head and skate slowly to the bench after yielding a goal on the man advantage. 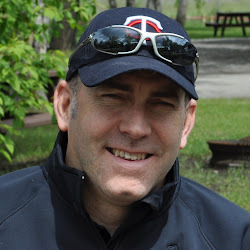 The team's penalty killers deserve yeoman's credit for helping the Flames get by without the services of Frolik, who is always an automatic with Backlund as the first forward pairing Gulutzan sends over the boards. Since the start of the winning streak, Calgary ranks second in number of times shorthanded with 25. But over that period, they've got the fourth-best PK at 92 percent, having killed off 23 of those 25 infractions. Fourth is a giant upgrade on 26th, which is where Calgary ranked going into its game on New Year's Eve. Last piece I wrote came out as the Flames prepared to open up the 2018 calendar year. At the time, the Flames were 5-4-3 in their last dozen with one of the key takeaways being that their shooting percentage of 6.95 percent was ridiculously low over that stretch compared to the 8.80 league average. As I pointed out at that time, they would have had an extra eight goals by shooting at the league average over those dozen games and if they had done that, you wonder how many of those losses or OT losses would have turned to victories. Well, now the shooting percentage is balancing out. In the six games since -- all victories -- they've piled up 23 goals on 184 shots for a lethal 12.5 shooting percentage. From unsustainably low for a dozen games, to unsustainably high for the last half-dozen, over the span of these last 18 games in which Calgary has given up three-or-fewer goals, it leaves Calgary's shooting percentage at 8.69, which is just under the league average. It should be reassuring for the team and its fans to know that over this six-week period since Dec. 5 in which Calgary has posted the NHL's sixth-best winning percentage (and second best record in the West behind Vegas), they're not doing it with smoke and mirrors. They're merely shooting at just below league average and it's gotten them points in 14 of those 18 games. In fact, with a little more luck around the net -- Calgary is 4th in the NHL in iron hit, either cross bars (10) or posts (26) -- they could be even better. With a little more accurate shooting -- Calgary is 2nd in number of shots that go wide --- they could be even better. Also worth pointing out are the two personnel changes made recently. Two guys that have been absent for most of this winning streak. We're talking about Jaromir Jagr, the oft-injured, future hall-of-famer playing on the fourth line, finally being placed on IR after battling all season with a lower-body injury. Also gone is the team's poster child for an extra forward, Freddie Hamilton. With the departure of 'Freddie the 13th' as he's been cleverly referred to, also gone is the non-stop swirling speculation that he was only on the roster to appease his little brother. That's Jagr, he of one goal in 22 games. That's Hamilton, he of zero goals in eight games. It's a shame that it hasn't worked out for Jagr. In those spurts when he had the puck on his stick in the offensive zone, he showed that he still had the vision and playmaking ability to play, but the ability to quickly get his shot off isn't what it used to be, nor is his ability to keep up with the play when it transitions up ice. This isn't a knock, just the reality that father time catches up with everyone. A month away from turning 46, Jagr is nearly five full years older than Matt Cullen, the league's next-oldest player. Think about that. Incredible. While there has been rampant speculation that the Jagr experiment is over in Calgary, nothing official has been announced by the club. He is on injured reserve for now. But you sure get the sense that he has played his last game with the Flames and his absence hasn't hurt them. Meanwhile, Hamilton has definitely played his last game as he was spared a trip to the minors by being quizzically plucked off waivers by the hapless Arizona Coyotes. Since Jagr's last appearance on New Year's Eve, the Flames fourth line has been noticeably better, thriving on being a more speedier trio. While quite likely just a coincidence, Dougie Hamilton's game hasn't fallen off at all since his brother left the nest. In fact, it could be argued he's been better. Most importantly, these two players have been replaced by two hungry and deserving candidates from the minors and the team has been streaking ever since. While things are looking up for Calgary, there is still plenty of work left to do. Their grip on second in the Pacific is precarious at best with the Kings holding two games in hand and the Sharks having played four fewer games. 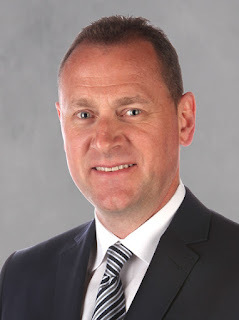 But what they've done is put themselves back in the mix and have done so by playing the style of hockey over the last six weeks that is very much sustainable. That bodes well. Keep the goals against down, stay aggressive and don't sit back in the third period, continue to get scoring across the top-nine and if the special teams can continue to perform like they have recently, Flames fans will find the sweet taste of playoff hockey on the dessert menu. The Flames have been outshot in every game since Anaheim, yet have won most of them by significant margins. Is Mike Smith saving them, or is it score-effects? It's probably the latter since they're winning by safe margins and not tight one-goal games. But I'll ask anyway, is this anything to be worried about? Don't worry about SOG; even Gulutzan says that. "You can get a SOG by icing the puck and hitting the goalie. ", says the coach. The key thing about Mike Smith and all great goalies is make the key save. David Rittich has been 4-0-1 in his 5 starts, all on the road. Players have confidence on whoever is in the net. Definitely some score-effects at play as the shots against are often ramping up in the third period when the opposition is down and Calgary plays a bit more conservative. That said, the Flames have to stop playing that conservative as it's killing them as they've had some third letdowns and let teams back into games. I hear what you're saying and while I think things have slipped a tad lately, circumstances are also worth noting with this recent streak of games. Getting outshot in Minnesota and Tampa Bay is not a reason to feel shame. Both teams are dominant on their home ice so that's more a by-product of playing against two excellent teams. Getting outshot in Florida was the back-end of back-to-backs. So I wouldn't get too fussed just yet. Don't think we're due for another stick toss at this time! As one of the biggest Brouwer basher's out in the Flames fandom; I have to admit he has been much better the last 6 weeks or so; keep him off the PP, give him a straight forward role and he is passable. The highlight of his time in Calgary was when he stood up after Hathaway was hit; he has been better ever since. Still way overpaid but he is no longer the"Burden" he was at the start of the season. People have to move past the dollar figure as that's not changing. At this point, the salvage mission is have him be a serviceable and contributing member of that group of 12 forwards. His ability to step up in the Frolik injury is a nice luxury, much like having Stone on the third pairing yet available to bump into the top four as needed. I wonder. Maybe when Frolik returns they ease him in on the 4th line for a game or two alongside Lazar and Mangiapane, before switching him with Brouwer? That might make for an interesting four lines. It's hard to get past the salary when you thought it was crazy when it was first just a rumour. However at least his salary has not put the Flames in cap hell. I wonder if he will at some point be bought out. Are you working on the Mid season prospect rankings during the bye week? Are you still doing your Podcast? One other factor to consider in the Flames latest run is be their ability to maintain their focus late in periods. In the 15 games (7-6-2) leading up to the Christmas break, the Flames gave up 13 goals in the last three minutes of a period (not including empty net goals against). Ten of those goals came in 7 losses (regulation, OT or SO loss). In the nine games (7-2-0) after the break, they have given up only three, including one late in the LA game when they had a 2-goal lead. The attention to detail has improved, and it has carried over into the PK, and other facets of their game. Great article Darren. Thank you.